This review first appeared in the April 2009 issue of hifi & stereo magazine fairaudio.de. 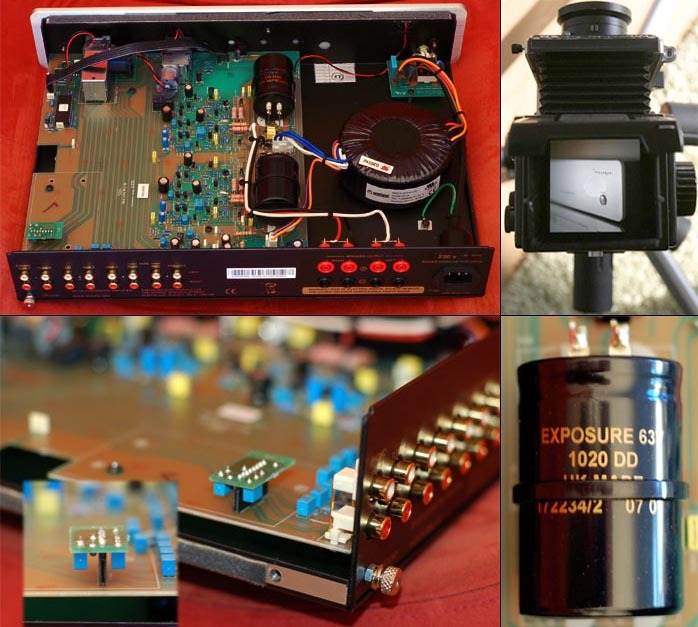 You can also read this review of the Exposure S2010 CDP & integrated amplifier in its original German version. We translated it through a syndication arrangement with our German colleagues. As is customary for our own reviews, the writer's signature at review's end shows an e-mail address should you have questions or wish to send feedback. All images contained in this review are the property of fairaudio.de or Exposure. - Ed. the nostalgic but gorgeous mechanical typewriter on my shelf. The photos for this article were shot digitally even though my best pictures, you already knew, derive from conventional film preferably in black & white. Granted, it's far more comfy to get results on the screen after ten minutes in Photoshop than inhaling developers and fixatives over a half day in the dark room. But I remain convinced that no computer printer competes with a properly worked SW negative carefully enlarged on baryta paper*, never mind that this conservative process teaches one certain fundamentals about photography. Those basics remain valid for digital too despite its endless processing options which tend to discourage taking those rules as serious anymore. Exposure's founding dates back to the halcyon days of British High Fidelity, i.e. the mid 70s. But whereas firms like NAD, Naim or Rega have become the establishment since, Exposure at least to my mind has never gained similar - um, exposure. Their product portfolio is tidy and mainly contains CD players and amplifiers divided into three lines. The S2010 is the entry-level kit, the S3010 and New Classics the step ups. We requisitioned the S2010 integrated and matching CD player from the German importer Connect Audio. 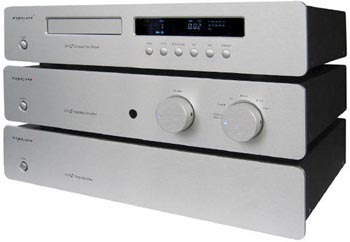 A further member of this series is the S2010 power amp but a dedicated preamp doesn't exist since the amplifier is meant as bi-amp companion for the integrated. All S2010 entrants are housed in the same solid black aluminum chassis of 90 x 440 x 330mm dimensions (HxWxD). Gap tolerances would intimidate many a car maker. The protruding face plate is 6mm silver-anodized aluminum. These machines don't look bad but aren't completely stylish either. Let's call it character then. In typical Brit tradition, functionality is Spartan. 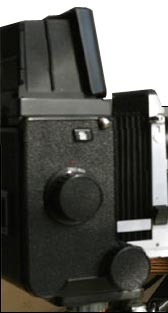 The brushed alu fascia is interrupted merely by the power mains, volume pot and input selector  and the IR eye. The rear is similarly sober with its IEC power inlet, 6 pairs of RCA source sockets, a fixed rec out and a variable pre out. The speaker terminals are doubled up but not independently switched and thus for biwiring only. The innards follow suit with a toroidal power transformer of unimpressive size, a few filter caps and a sparsely populated PCB. There's no hunking heat sink because the output transistors couple to the enclosure bottom via aluminum channel to turn the entire casing into a dissipating surface. One final detail is a small piggyback board behind the 'phono' input which for a €150 surcharge can be swapped for an MM or MC phono board. Both Japanese Alps pot and input selector are motorized and hence, remote controlled. That wand works both the integrated and CD player but its controls mainly accommodate the amp to offer just the bare necessities of user comfort. The CDP's fascia sports the expected drawer and display plus power mains and usual control buttons. The poorly legible display in warm red can be turned off. The back offers RCA outputs, coaxial and Toslink digital outs and the power IEC.